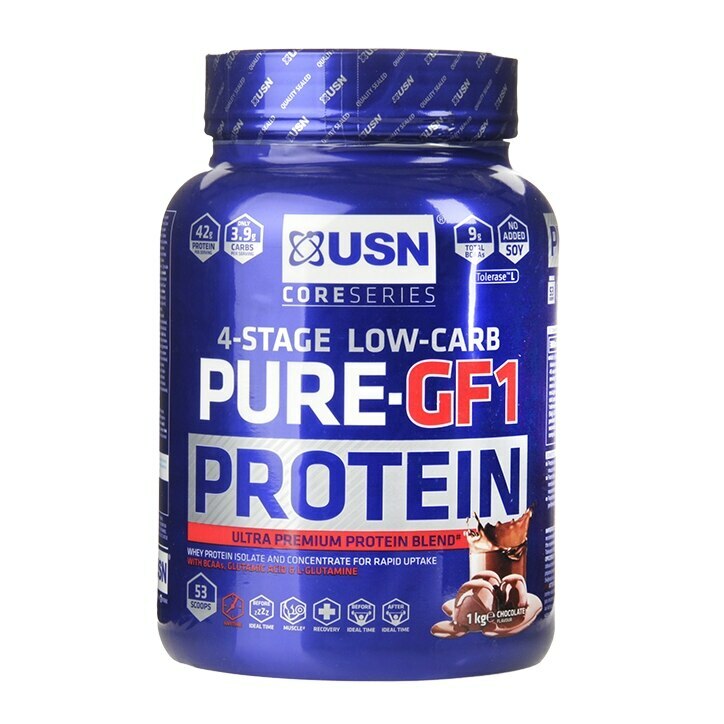 USN Pure Protein Chocolate is rated 4.7 out of 5 by 19. Rated 5 out of 5 by Moderate User from Great taste, can feel the difference I've been using this supplement for a few years now. It tastes great, mixes really well, has a good ratio of protein and BCAAs, minimal sugar based carbs and good blend of vitamins and minerals. Highly recommended especially when it's in the sale. Rated 2 out of 5 by Sophie123490 from Far too thick The first few times i used it i didnt realise 3 scoops were needed for 1 serving so i was only using 1 scoop mixed with milk or water. When using 1 scoop the taste is better and isnt as thick. However when using 3 scoops like it says, it is far too thick and the taste isn't great, especially when used with water. Don't use 3 scoops with milk or you won't get it out of your glass! Rated 5 out of 5 by Hayley2410 from Great product Seen positive results from this protein! Would definitely buy again! Rated 4 out of 5 by Shannon91 from Husband loves it. Bought this for my husband who's been keen to get fit and gain muscle. He's really happy with it and I'm tempted to buy it again but in another flavour as he doesn't love the taste of this one. Otherwise a great product. Rated 5 out of 5 by cazzaJ from Tastes great Tastes great. I mix up with my blender, find there's no bits or lumps this way.